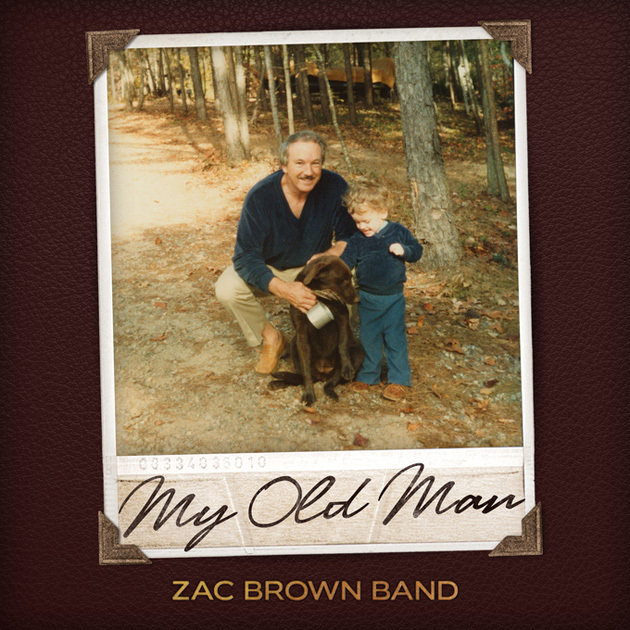 Intimate and heartfelt, “My Old Man” is a refreshing showcase of the raw talent that Zac Brown has at his disposal. The simplistic arrangement allows Brown’s vocals and lyrics to shine, which requires that both be strong enough to carry an entire record. They both are. Brown’s ode to his late father unfolds organically, with the first verse focusing on his own childhood and the second on his understanding his father more once he reached adulthood. It’s the third verse that elevates the song into greatness, and Brown deftly connects his own experiences as a dad to the impact of his own father on his life, and he reveals that his father is hearing this tribute from heaven, not earth. Having lived each verse of this in my own way, from the tensions between finding my own identity while living up to my father’s example, to now trying to show a similar combination of loving support and encouraging challenge to my own son, I appreciate Brown’s ability to capture deep and difficult feelings without descending into maudlin sentimentality. I think he gets at an essential truth about losing a parent. In one way, they’re gone, but in another way, they’re more present than they’ve ever been, because they are always in your mind and in your heart. I don’t experience this feeling often in regards to music, but it applies here: I am thankful for this record. Sweet song and wonderful review! Welcome back, Zac Brown Band! Agree with Leeann’s comment – even though I barely knew my father. I don’t even remember what his voice sounded like. He died shortly after I turned 4 and I have 2 younger brothers. Luckily, my grandmother lived with us and my mother, a nurse, sure worked hard. We never wanted for anything. As of now, my son has two sons. I lost my Mother to cancer when I was in college. Sure wasn’t ready or prepared for that. But it meant that me and my Dad were on our own from that point further. He was a Navy man – served in World War II. He worked hard for a living and he worked hard at home. He was always outside doing something. He was diagnosed with dementia a few years ago. I could see it getting a little worse every six months or so. Finally, I moved him in with me. I lived far away from the rest of the family so I had no help with him. I would be at work and worried if he had wandered off or left the stove burners on. As he got worse, it was unbelievably exhausting. Taking care of him those last 15 months was the hardest thing I’ve ever done in my life. He’s been gone now for three years. It’s funny, but everything I do, I always wonder if it’s what he would’ve done. Or if he would be proud of me. This song is special. I like it very much.